Fortunately, strong action is being taken nationwide in response to the abuse of bath salts which have sent hoards of people to the E.R. or on the phone with poison control. At first glance by the user the bath salts seem pretty harmless, but after consuming the products the users experience sensations that are far from benign - leading some individuals to take their own life. New York is the latest state to ban bath salts. The Associated Press reports that New York State’s Health Commissioner has banned the sale of bath salts, effective immediately. It is almost hard to believe but not all that surprising that a product like this slipped passed the FDA and has manage to wreak so much havoc on peoples' lives. 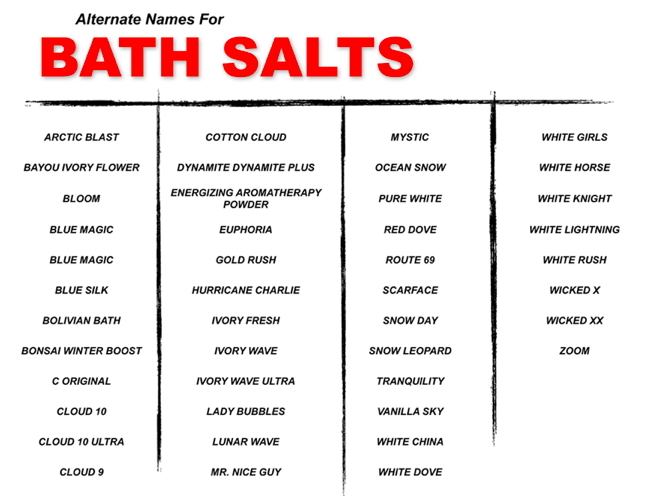 Fake bath salts are crystallized chemicals that can be snorted, swallowed, and/or smoked. There are two active ingredients that are powerful stimulants that mimic cocaine, LSD, and methamphetamine. Just in the first three months of 2011, poison control centers received more than 1,400 calls for bath salts, compared with 301 in all of 2010. The increase in calls shows clearly the need for serious action to be taken or more lives will certainly be at risk. The fact of the matter is that, drugs like fake bath salts have had very little research conducted on them which means we know very little. However, what we do know is that drugs like these are not to be even experimented with due to the high risk of hospitalization, as it is clear by the hundreds of individuals nationwide who have had to be admitted. 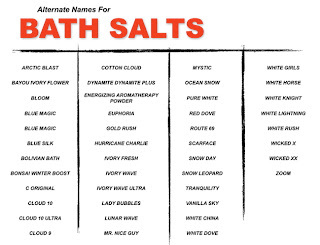 Fake bath salts are typically dispensed at convenient stores as well as head shops and you could probably find them at gas stations as well. What's clear is that products like these can be acquired with relative ease, which means that teenagers can come upon them just as easy. If you know anyone experimenting with such products, it would be best to encourage them to seek help or you should seek help for them.